Criminal property damage is a major crime in the state of Ohio. Criminal mischief, like criminal damage and vandalism, is a property damage crime that attracts major penalties and fines. If you have been charged with criminal mischief, it is recommended that you hire a lawyer to help you out of the trouble you have found yourself in. Call Attorney Adam Burke now at (614) 280-9122 for your free consultation. Ohio Criminal mischief deals with damage caused to property, like vandalism, but it is considered an umbrella offense that covers a lot of possible types of property damage, unlike vandalism. Knowingly shift, destroy, deface, damage, or tamper with property that belongs to someone else. Employ a tear gas grenade, stink bomb, smoke generator, or a similar device to interfere or stop others from enjoying or using their property. Tamper with, move, or destroy property signs or boundary markers. Tamper with, move, or destroy a safety device, which causes it to lose its effectiveness and put others at jeopardy. Criminal mischief, depending on where the mischief was caused, may be considered a 3rd degree, 2nd degree, or 1st degree misdemeanor. In some cases, if a person was harmed as a result of the offender’s actions, the criminal mischief is charged as felony of the 5th or the 4th degree. It may also be charged as a felony if the value of the property involved in the mischief was significant. 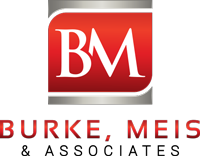 If you have been charged with criminal mischief in Columbus or any of the surrounding areas in Ohio, contact Burke, Meis & Associates. Attorney Adam Burke is an experienced defense attorney who will fight for your rights and your freedom. Call Attorney Adam Burke today for your free consultation at (614) 280-9122.